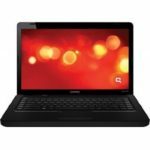 Compaq Presario CQ62-210US is a 15.6-inch laptop equipped with a 2.2GHz Intel Celeron processor 900, 2GB DDR2 System Memory, and 250GB (5400RPM) Hard Drive (SATA). It sports a 15.6″ diagonal HP BrightView HD LED Display (1366 x 768), Intel HD Graphics with up to 1696MB total graphics memory, SuperMulti 8X DVD±R/RW, 802.11b/g/n WLAN, Dolby Advanced Audio with Altec Lansing speakers, Integrated microphone, and 6-cell Li-Ion battery. The laptop runs on Genuine Windows 7 Home Premium 64-bit operating system. Needless to say, such a configuration is good enough for our daily use, people are very happy with it. 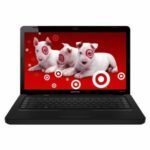 Sure, the Compaq Presario CQ62-210US has become a bestselling laptop on Amazon, more and more people are choosing it, this is why I want to share it with you guys today. Well, let's dig deeper about it. The Compaq Presario CQ62-210US laptop is function-forward with style made simple. You just need to use convenient one-touch keys to access email, the Web and other common applications. This Compaq laptop also looks great with the fingerprint-resistant, textured HP Imprint finish in matte black. Of course, you can watch videos and view photos easily on the 15.6-inch diagonal High-Definition HP BrightView LED display, plus save power with this ENERGY STAR® qualified product. What's more, you can easily connect this notebook PC to a digital camera, MP3 player and other digital devices using the USB ports. Browse the Web from any room and on the go using built-in Wi-Fi, plus manage and share your photos using HP Photo Creations software. So I think you guys will like this Compaq laptop too. 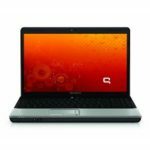 The Compaq Presario CQ62-210US comes with some decent features, let's take a quick look. Of course, these are just the main features this Compaq CQ62 laptop delivers, you'll find out more when you get the laptop. 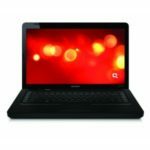 Well, what do you think about the Compaq Presario CQ62-210US 15.6-Inch Laptop? excellent bang for this laptop….. my only complaint as per usual is how fast it heats up… you will definitely need a cooling fan for this little chunk of tech….